1. Cost: You don’t want to overspend on equipment, but with quality equipment you get what you pay for. 2. Efficiency: You want an efficiency rating that’s right for you – a balance between cost and SEER. Those in warmer climates recognize that spending more to get a high-efficiency unit will save them much more in the long-run in the form of lowered energy bills. Those in moderate to cool climates may do better to spend less on a mid-efficiency or standard-efficiency air conditioner that isn’t used as heavily. 3. Performance features: Some consider it a good value to spend a little extra on 2-stage compressor operation or advanced noise reduction while others are looking for more basic functionality. With those considerations in mind, we put together this 2011 Air Conditioner Buying Guide by selecting 3 central air conditioners that are tops in their categories: high-efficiency, mid-efficiency and standard-efficiency. Their price match their level of efficiency and in some respects, so do their performance features. As you start your search for your next central air conditioner, these and the comparison models will give you a great place to start…and perhaps end your search. As part of each review, we include prices sent in by our readers to give you a ballpark idea of what your costs might be. 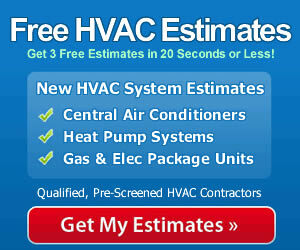 Here are our top 3 central air conditioners for 2011. This is a top of the line model from a proven winner, Trane. It was designed and built with quality and performance in mind. It features 2 ClimaTuff compressors for maximum efficiency and comfort. The unit uses one compressor about 80% of the time, but when temperatures rise significantly or the homeowner calls for a boost in cooling, the second compressor comes on to maximize cooling capacity. With a very high 20.0 SEER efficiency rating, cooling costs may be cut in half since most units it will replace are in the 8-12 SEER range. Top features of the Trane Ultra Efficiency XL20i Central Air Conditioner include ComfortLink II technology that coordinates the performance of the air conditioner with the furnace or air handler to optimize balanced cooling, and Comfort-R enhanced humidity control that runs the blower more consistently at low speed to promote removing moisture from your home environment. For a complete list of features follow the links to our main HVAC Prices article about the Trane Ultra Efficiency XL20i Central Air Conditioner. Here is a sampling of the prices our readers have reported to us. 2 ton Trane Ultra Efficiency XL20i Central Air Conditioner: $1,979. 3 ton Trane Ultra Efficiency XL20i Central Air Conditioner: $2,200. 5 ton Trane Ultra Efficiency XL20i Central Air Conditioner: $2,659. If you want high performance and high efficiency and are willing to pay a bit more to get it, the Trane Ultra Efficiency XL20i will reward you with precise indoor comfort and lower energy bills for many years to come. It is a top choice in warmer climates where high efficiency is the key to controlling energy costs. Have this central air conditioner installed by a qualified contractor who will know how to set up and adjust the system to maximize efficiency. 3 ton American Standard Platinum XM Allegiance 16 split system with air handler: $4,319. 4 ton American Standard Platinum XM Allegiance 16 split system with air handler: $4,530. 5 ton American Standard Platinum XM Allegiance 16 split system with air handler: $5,200. Bryant Evolution Model 187B 17 SEER Air Conditioner. Ducane 4AC16 High Efficiency 16 SEER Central Air Conditioner. Amana model ASXC16 16 SEER Central Air Conditioner. See the full list of features for the American Standard Platinum XM Allegiance 16 at our price review article for this model. Amana Model ASX14 14 SEER Central Air Conditioner. Armstrong Model 414LE 14 SEER Central Air Conditioner. Ducane Model 4AC14 High Efficiency 14 SEER Air Conditioner. We hope this 2011 Air Conditioner Buying Guide helps you better understand what you want from a central air conditioner and points you in some directions that will assist you in finding just the right one for your situation. These are our top 3 air conditioners for 2011, but there are many more outstanding models to compare and consider.